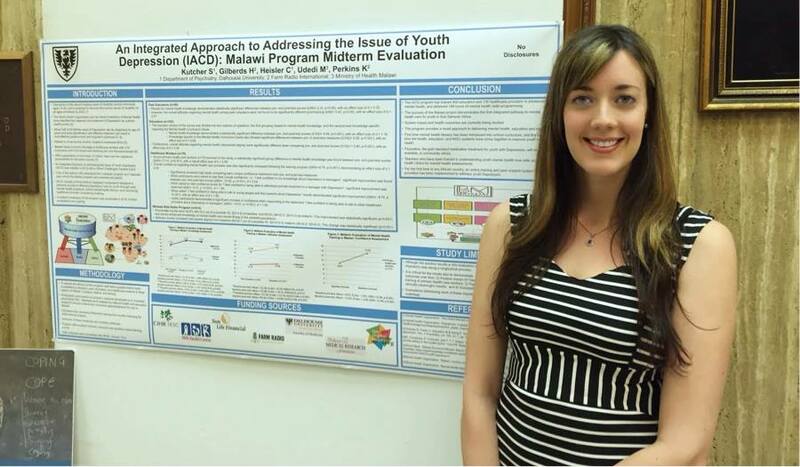 Presenting at the 2015 Dalhousie University Global Health Open House was a fantastic opportunity to raise awareness of the work being done in adolescent mental health in Malawi by teenmentalhealth.org and Farm Radio International. The midterm evaluation of the IACD program highlights both the effectiveness of the program, and the need for continued investment in the mental health training of Malawians. Second year MSc. 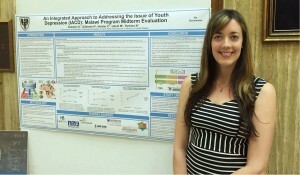 Community Health & Epidemiology student Courtney Heisler with her poster at the 2015 Global Health Open House. Stories that Bind: A Living Library of Healthcare Experiences brought in over twenty human “books” to share their unique perspectives with event attendees. Participants from a variety of backgrounds engaged in one-on-one discussions on topics including healthcare barriers faced by the visually impaired and deaf communities, the impact of experiencing and surviving racism on the health of women of African ancestry in Nova Scotia, and barriers and challenges that immigrants and refugees face when accessing healthcare. These conversations brought together individuals from across disciplines in order to gain a more robust picture of healthcare issues in our local and global communities through knowledge sharing. Dal Med GHI hopes to make the Living Library an annual event, and is seeking feedback in order to grow and improve in the future. If you attended the Living Library event, you can help by filling out this short feedback form http://bit.ly/1K6CODn. We would like to thank everyone who came out to both events, and we hope to see you next year! More photos from the event will be posted on the Global Health Office blog soon. If you would like more information on global health education and research opportunities, please check out the Dalhousie Global Health Office’s social media (links below) or contact us at gho@dal.ca.